For the third time, recipients of the ACM A.M. Turing Award, the Fields Medal, the Nevanlinna Prize and the Abel Prize gather in Heidelberg to meet with 200 young researchers from all over the world. For one week, the laureates of mathematics and computer science will exchange with young researchers through lectures and workshops, plus a “hot topic” session discussing the socio-ethical challenges of Big Data. The immense success of the past Forums pushes forward and the organizers once again provide the opportunity for journalists to come to Heidelberg and converse with the preeminent scientists of mathematics and computer science. The 3rd HLF will take place from August 23 to 28, 2015, and applications for the coveted travel grants are accepted until June 30, 2015. The prestigious HLF offers a select group of young researchers in mathematics and computer science the extraordinary chance to meet the preeminent scientists of their field for one week of cross-generational, scientific dialogue. 22 laureates have already confirmed their attendance in August. Unlike other conferences, the HLF provides a unique sociable atmosphere that sparks both highly scientific and casual interactions among the participants. Lectures, workshops and panel discussions embolden scientifically driven debate, while various social events encourage the participants to pursue their discourse outside the lecture halls and to get to know each other. This year’s Forum will once again include a “hot topic” session, in which the experts will delve into the social and ethical challenges of Big Data – evaluating, through computer science, how the flood of data occupies many areas. Presentations and discussions by renowned speakers will illuminate how Big Data is changing our world. The session will address the advantages and potential of processing of such vast amounts of information, as well as debating the risks and challenges involved. Through a charged discussion with the experts, constructive suggestions for approaching future challenges can be developed. The Heidelberg Laureate Forum Foundation offers 15 travel grants of up to 3,000 euros to enable journalists to report on this unique gathering of the pinnacle in computer science and mathematics. 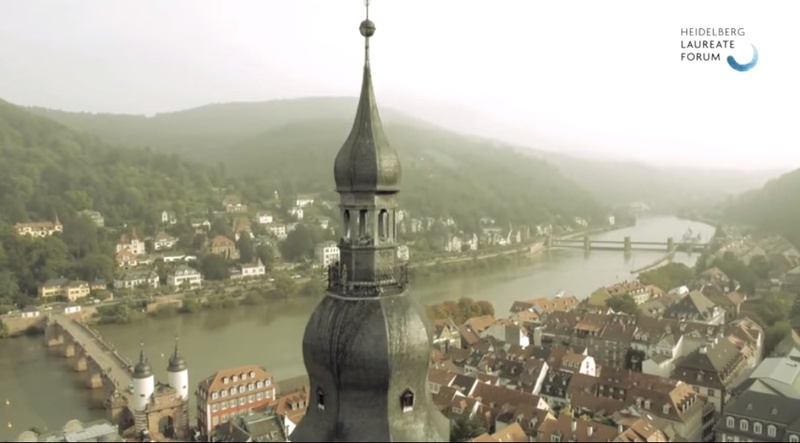 Grants cover the travel costs as well as board and accommodation during the stay in Heidelberg. Until June 30, 2015, journalists from all over the world are invited to apply, irrespective of their media affiliation (print, TV, online, radio). The applications must include the following: a short CV, three samples of work (indicating respective medium), a synopsis of publications to date (indicating respective medium), planned contributions regarding the HLF as well as a preliminary travel itinerary including estimated costs. With this press release, we would like to extend an invitation to attend the Forum as well as to report on the event.